Gingerbread treats are always so tempting! As are these pancakes, minus the associated guilt. These are fluffy, high in fibre, and delicious! 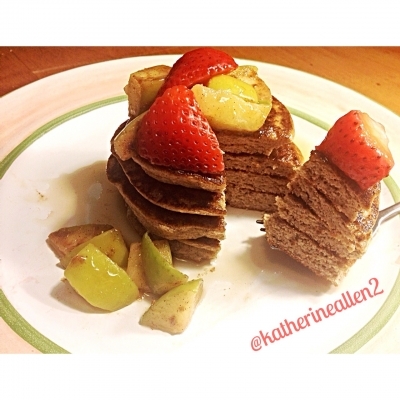 I topped them with walden farms pancake syrup, caramelized apples, and fresh strawberries!